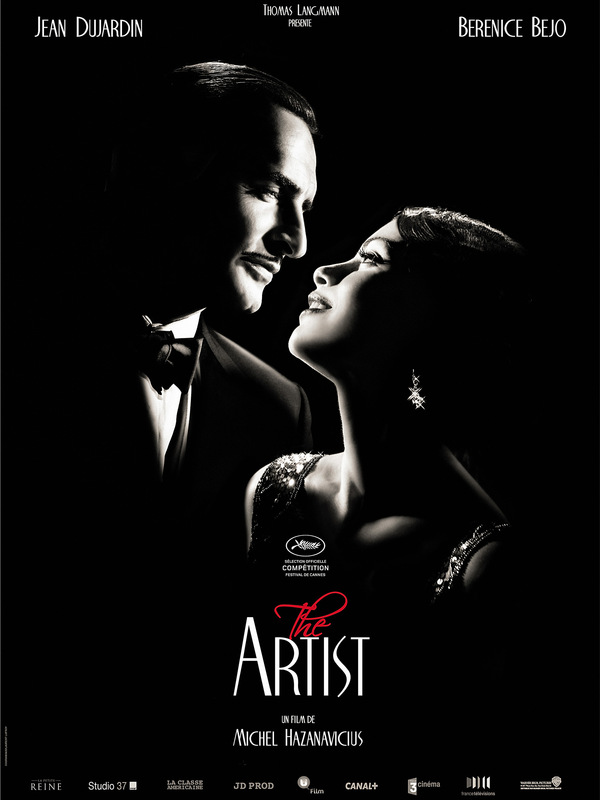 The Artist was one of a handful of movies I was dying to see at the start of 2011 and it did not disappoint. This year’s nominees hearken back to days gone by, and two showcase the pure joy of cinema (the other being Hugo). 2011 revolved around reminiscing over days gone by, and seeing the world through a nostalgic lens, literally in the case of The Artist and Hugo. The Artist makes audience remember how far we’ve come from our origins, and also why the classics are so revered. It’s hilarious to hear how a British movie theater had to refund patrons who didn’t want to see a silent film, but The Artist says so much…while never saying anything out loud. Silent film star George Valentin (Jean Dujardin) is the matinée idol that audiences adore but when 1929 brings with it talking pictures, George believes it’s a passing fad that won’t ever catch on. He’s shocked though when a beautiful rising star named Peppy Miller (Berenic Bejo) becomes the new It Girl of the screen and George’s career goes into a tailspin. Trying desperately to find a way to make himself relevant, the fallen idol must cope with the changing ideas of cinema. I must admit I don’t watch quite as much silent film as I should, to me you really need the theater experience to see a silent movie or risk tuning out and missing out on something. Not to mention if the movie isn’t orchestrated right (I’ve watched a cut of Birth of a Nation with “Pomp and Circumstance” in the background) then it becomes tedious to watch. That’s why The Artist is such a breath of fresh air, because you feel as if you’re watching a silent film as it was made in 1927. The beautiful score by Ludovic Bource keeps you engaged and never once did I stop to look at my phone. The story of George Valentin is not too far removed from other matinée idols of the late 20s who lost their job when talking pictures happened. Actor Jean Dujardin is a little bit Rudolph Valentino and a whole lot of Douglas Fairbanks (Dujardin made me love him during his Golden Globe acceptance speech when he imitated Fairbanks). There’s a particular scene where George is filming a swashbuckler epic and he looks eerily like Fairbanks. There’s even film from The Mark of Zorro used as one of Valentin’s films with Dujardin spliced in during the close-ups. Another connection is that Peppy Miller’s house is Mary Pickford’s house…the connections to silent film go so deep into this movie it’s insane. There’s several books about the stars who weren’t able to make the leap to film (John Gilbert being one of the bigger examples) and what makes The Artist ironic is the fact that French actors were used considering many silent stars lost their jobs due to heavy accents. I’ll be a little sad to see stars Dujardin and Bejo make movies where they talk because they do so well in the silent roles they’re given. The dance sequences are perfect and Bejo has such a beauty and great comedic timing. She’s part Clara Bow and Betty Boop wrapped into one. The true star is Dujardin and his canine companion Uggie. The two have the sweetest chemistry and I dare anything to not laugh when they’re at the breakfast table with a bowl of cream.